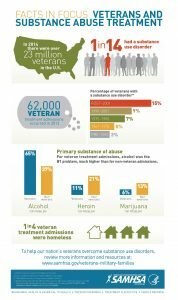 Veteran Populations - Moral Reconation Therapy - MRT® distributed exclusively by Correctional Counseling, Inc.Moral Reconation Therapy – MRT® distributed exclusively by Correctional Counseling, Inc. Veteran Populations - Moral Reconation Therapy - MRT® distributed exclusively by Correctional Counseling, Inc. The two veterans programs are tailored to address the unique situations faced by veteran populations. Their unique experiences can lead to severe trauma, resulting in the onset of PTSD, which can become long-lasting and treatment-resistant. Effective treatment of veterans with PTSD has become one of the most important and highest-priority goals of the VA.
Two programs are offered for veterans. 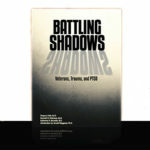 “Battling Shadows” is a cognitive behavioral workbook that directly confronts trauma issues typically encountered in veteran populations. This 150-page workbook is designed to be implemented in eight group sessions, facilitated by trained staff. The program utilizes specialized techniques that are intended to be used only with Veteran focused groups. 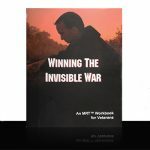 “Winning the Invisible War” is the MRT workbook used in many VA treatment centers and veteran courts. This workbook addresses the specialized needs of veterans who have been assigned to treatment through the justice system. The program can be used by veterans who enter drug courts, family courts, or other specialized veteran treatment courts. Because veterans have experiences and issues that are unique, it is recognized that they participate best in treatment programs designed for veterans, with other veterans engaged in the same group process. MRT training is required for both Battling Shadows (trauma) and Winning the Invisible War treatment programs.